As in many such cases we start the story with Sidney’s grandfather, John, who had a small metal-working business in Bilton on the edge of Rugby. He came from a family with roots in the Black Country. 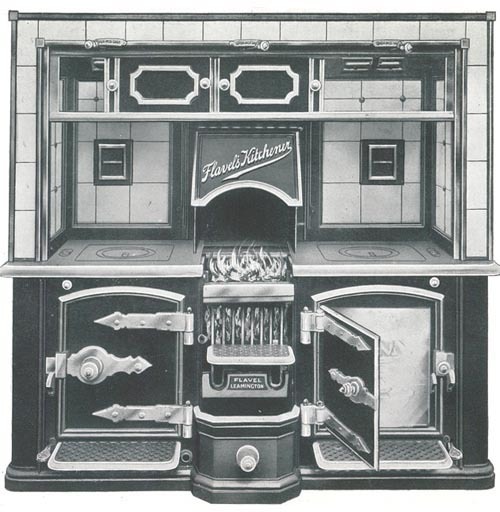 His son, William, trained with an uncle in Coventry and established his business to the corner of Church Street and Gloucester Street in Leamington in 1803 and around 1830 invented a coal-fired cooking range with integral ovens and hot-plates which he called the “Kitchener”. For many years this was described as the Patent Kitchener but we have yet to find evidence of a true patent. 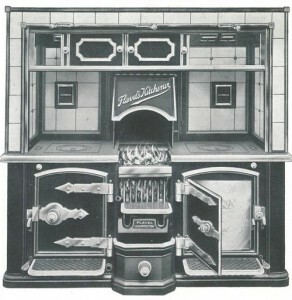 It was very popular with Royalty and those wealthy people with large kitchens. 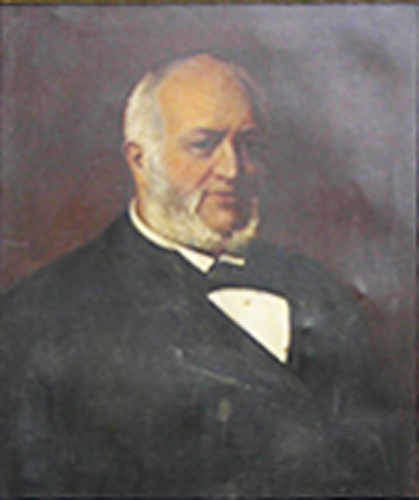 William’s son, Sidney, was born in 1819 and took charge of the business in 1844 on the death of his father. The main premises at this time were in Augusta Place “at the rear of the tennis court” with a showroom on the corner of the Parade and Dormer Place (PIzza Express in 2015). The Kitchener was a resounding success at the Great Exhibition in London in 1851 and was the basis of future growth. The product spawned several variants. The company moved to the Eagle Foundry at Clarence Street in 1856. Sidney had a son who was also named Sidney in 1847 so the subject of this article is usually known as Sidney senior. 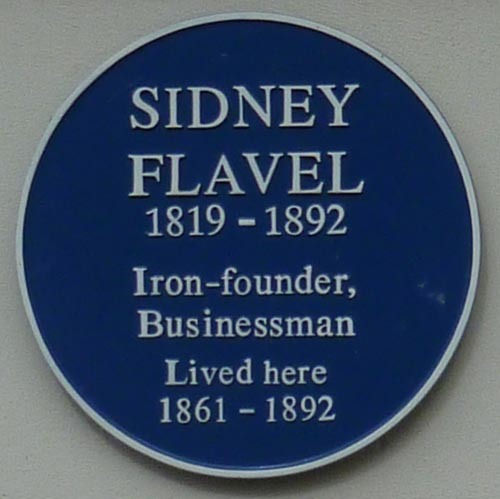 Sidney senior was a practical and technical man and was responsible for developing and making a range of products and he opened an office in London. Sidney junior soon took over much of the sales and administration from his father who was in poor health. This does nothing to reduce the merit and achievement of Sidney senior who did much to establish the firm in the town and provide employment for many hundreds of people. He died in 1892 and is buried with many of the family in Brunswick Street cemetery. 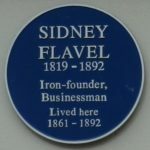 There is a blue plaque in his memory at the eastern end of Newbold Terrace; his house which was part of this building was named Edgeville because it was on the eastern extremity of the town at that time. Click Here for more about the Company. The images on this site are used by kind permission of the owners and should not be copied or otherwise re-used without first seeking permission. Thank you for your understanding.